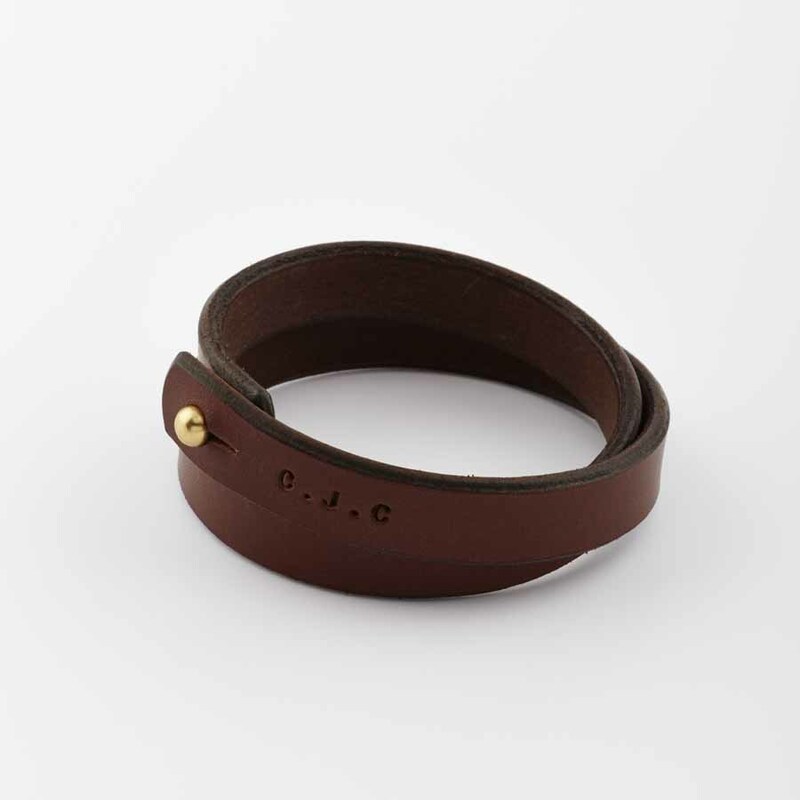 Minimalist leather double wrap bracelet, hand stamped with your chosen initials and/or a date, with a simple Sam Browne solid brass stud closure. Perfect choice for men who don’t usually wear jewellery as this bracelet is very like wearing a watch. Both the leather and brass stud will age beautifully. Completely handcrafted in our studio. We carefully cut, bevel, dye and burnish the edges of the leather in our workshop using traditional tools, finishing this process with a coat of beeswax to give them a beautiful, smooth finish. 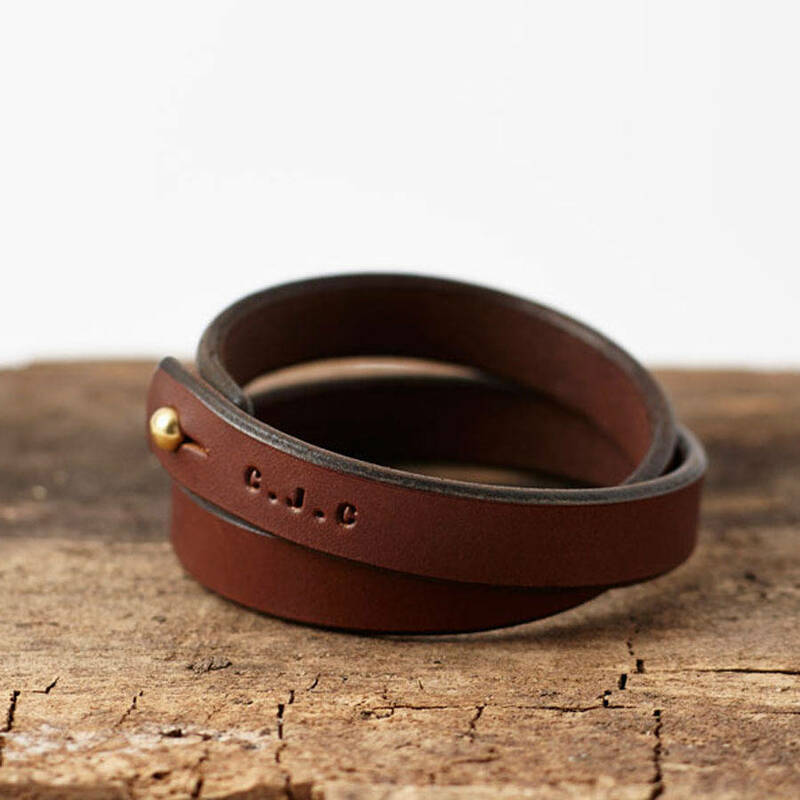 The leather can be stamped with initials and/or a date. The standard sized bracelet will fit a wrist of up to 21cm, but we can make them to any length. 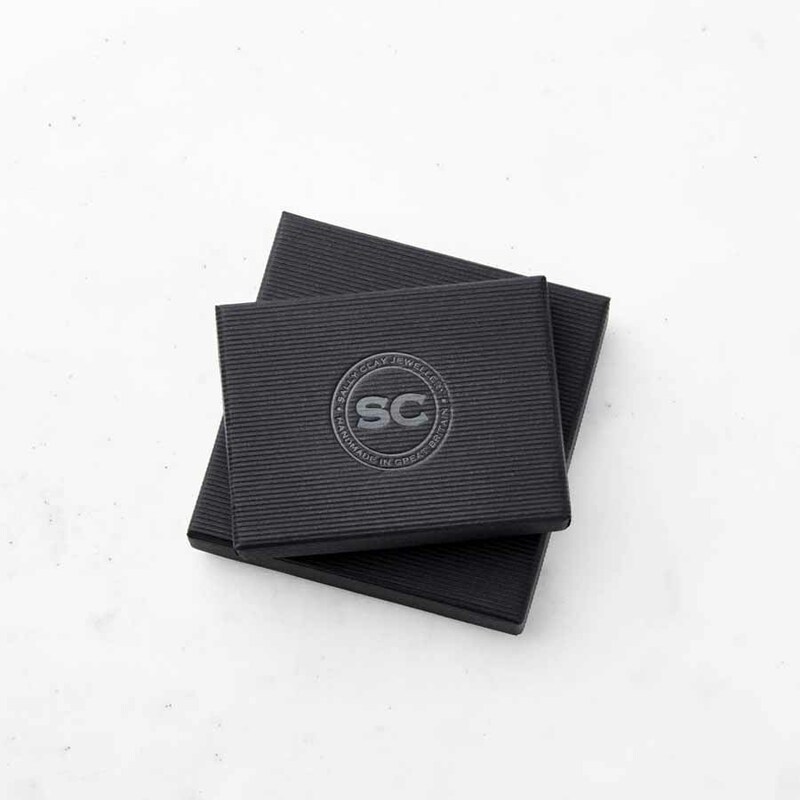 Presented in a Sally Clay jewellery box.